The first book in the hilarious Awesome Animals series - awesome adventures with the wildest wildlife. 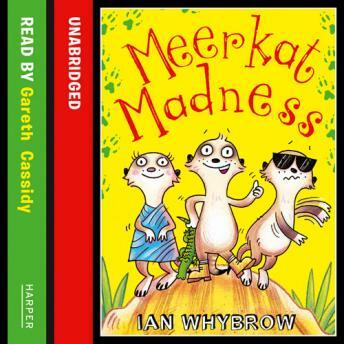 Told in Ian Whybrow's unique style, this hilarious animal adventure starring ever-popular meerkats is a funny, fast-paced, sure-fire hit. Meerkat Madness is the story of a burrow of meerkat pups and their eccentric babysitter, Uncle Fearless who once travelled to the Blah-Blah camp at the edge of the desert. Truth be told, Uncle is a bit of a show-off but the pups love his colourful stories even if they don't really believe them. But then they find a mysterious object buried in the sand and it isn't long before they are caught up in a daring adventure of their own! A hilarious story about ever-endearing meerkats from the creator of Harry and the Bucketful of Dinosaurs.